The Rebels history was written by Met^Rebels. All the rest was done by Magic of Nah-Kolor. 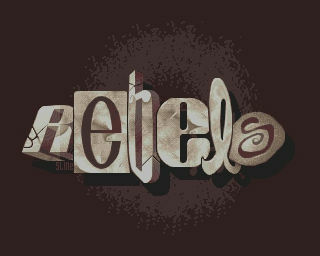 Rebels is one of the oldest demoscene groups still active. I remember them well from the Amiga scene from the 80's and the 90's. They have a great past on the Amiga computer. But also on the PC they have been active for some years now. The following text about the history of Rebels was taken from their website. This could be interesting for you if you haven't read this earlier. After the history also a small chit chat with Met^Rebels who is the organizer of Rebels today on the PC can be read. Fasten your seatbelts and read on! All homepages of groups within the demo community should have a history page. Probably so that ppl who visit the homepage will get a chance to get to know the group a little better. The purpose of this brief history lesson is to describe our group and past happenings that finally led to the Rebels you see today. Well, in our case this isn't exactly easy. People who crossed our path formed this group in many different ways, good and bad. Our years of experience of the demo scene prepared us for what we face today and I think ONE of the answers to why we've been around for so long is that our last leaders and active members simply cant let go! Members of the scene come and go, some flourish and become legends of the scene but most leave at some point and the memory of their doings slowly fade away. But in Rebels, we care for our memories. We gather around our huge bonfire and tell the tales from the past. We try to grow the old school ways into our young members; we try to pass on memories that have been keeping us together since 1992!! I will now share the story (the very short version mind you) of the rebels forming and events that led to the rebels we see today. The Birth of the legendary group REBELS! The year was 1992. M:et, one of the first members, and organizer of the Swedish division of the famous Amiga group Rebels wanted to start up a group that was to code and release demos for the PC. He got in contact with Omnibuz, a Sysop of Swedens largest BBS. They got the same ideas and teamed up and by that REBELS PC was born. They put together a demo and took it to a copy party but got knocked out right away because the demo was too big in size. And that was the end of the PC demo group Rebels for many years. M:et and Omnibuz soon came to the conclusion that the stuff the elite boys in that underground society called 'piracy' was something much more exciting. As newbees to the Warez scene their first releases were a few lame screen shots =), but they soon got the hang of it and got hooked up with a few really good suppliers. They merged with another Swedish group, well known from the C64 days, called 2000AD. By this, Rebels became a well respected group with lots of nice releases flowing through blue-boxed AT&T lines. By the end of 1995, Leatherman, the ex-leader of 2000AD, left REBELS to start another group that he named CELLBLOCK 4, or simply CB4 for short. After a while, another Swedish group called 'oG' merged with CB4. A few months later, Leatherman left CB4 to restart his old group 2000AD. CB4 lived on with Charley and def_fred as head over the team. One year later CB4 had started a new trend, spitting out releases in such a way couriers thought they faked them. =) A cracking group with the strength of godzilla roared the sites, averaging 15 releases a day, and all in all beat the records for what that was worth. At the same time (early 1996) Omnibuz and M:et made friends with Doson, Skater and RacJam from the American group PANTERA. The groups decided to join forces and went through with a merged that made Rebels even stronger. The leaders of Rebels got interested in the work done by CB4, a small-sized group making such a scene presence and shocking the rest of the scene with their family way and their humble members. The leaders of Rebels got more and more anxious to work together, and one day, right around New years eve 1996/1997 the two groups merged. Time passes and M:et really can't let go of the fact that it's demos he wants to work with, and he decides to try to set up a demo section of Rebels again. To help him do this he found Seffren on irc and they started to work on the group. This happened around Christmas 2000. Some releases are out like the great cmd's, and also some small intros and a really nice demo. Then as he becomes a father and has to quit the scene, the group slows down until the summer 2005 when its time to start producing again. Unfortunaly Seffren decided to leave and form a new group, but there is always people there to take over, Pasy become co-leader together with M:et and there we are today.. This was the short story on how Rebels PC came to be, and now that you have heard the story, maybe you can understand why I sit here and brag about this great group? While other groups brag about their elite coders and cool releases. I just can't stop bragging about our family of REBELS. I hope this saga never comes to an end, but that's about it to tell so far about this wonderful story of the REBELS! 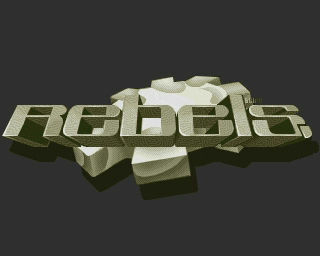 Team REBELS / We make all days partydays! Ps: The greatest of all credits goes to Jake for founding the original REBELS. Please introduce yourself to the readers and tell us what kind of organizer you are. How many members does your group have and over how many countries is it spread? 15 members in 5 countries. How do you guys work together on a production? How is the creating proces going? Well, we work from an internal irc channel and from an internal forum. All members are involved to give good advice and opinions. Who decides if a member is kicked or removed from the members list? Who decides when a scener is allowed to join your group and for what reasons? That's up to me and Pasy. But of course we ask all in the group and if someone says no, then we don't take that person in. This joining and kicking things rarely happens so I think it's no big thing. Do group members meet outside scene parties to work on a demo project or is everything going trough the internet like email, irc, skype? All is trough the internet, its not like in -89 when I joined Rebels, then we all only met at local parties and at our own places to make the releases. Only contact with the foreign members was through e-mail and when you could call for free.. In my opinion the organizer of a group motivates members to do something and who is in touch with most members. How is this in your case? 100% true, thats the meaning of organizers: to motivate and pull the stings. Is organizing still an important job in a demogroup? Have there been any problems with organizing? If yes give us some examples..
To collect the right people together so that the organizer isn't needed anymore because all members work together automatically and create without you motivating them - is a scene dream or a horrible nightmare? When is a group well organized? When every single member feels that he are having fun and are a part of the family. If you want to keep an close eye on the whereabouts of Rebels and their releases visit http://www.rebels.team.pro from time to time as this is their official website. Thanks to Met^Rebels for helping out on this article. Hugi has learned that a Rebels musicdisk should be released soon as Chromag of Rebels' first MP3 for this issue of hugi called Hug Me was donated to this musicdisk and he composed a new MP3 for Hugi. So we are on the lookout for this musicdisk for sure! Hugi, as we always do, wishes the Rebels team much success for the future.